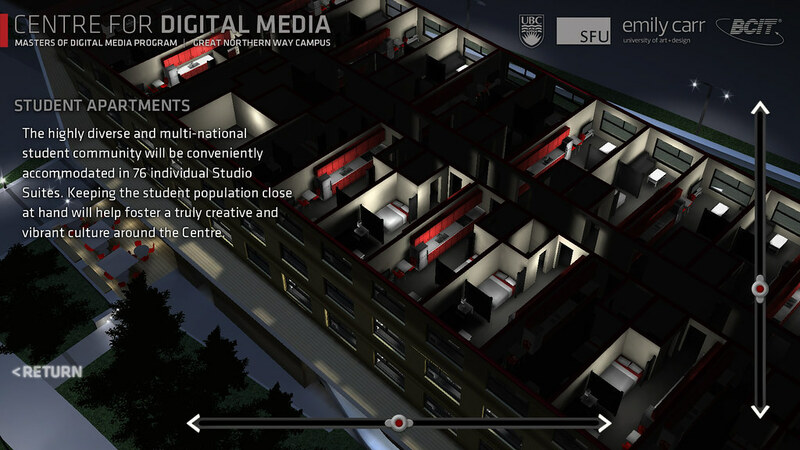 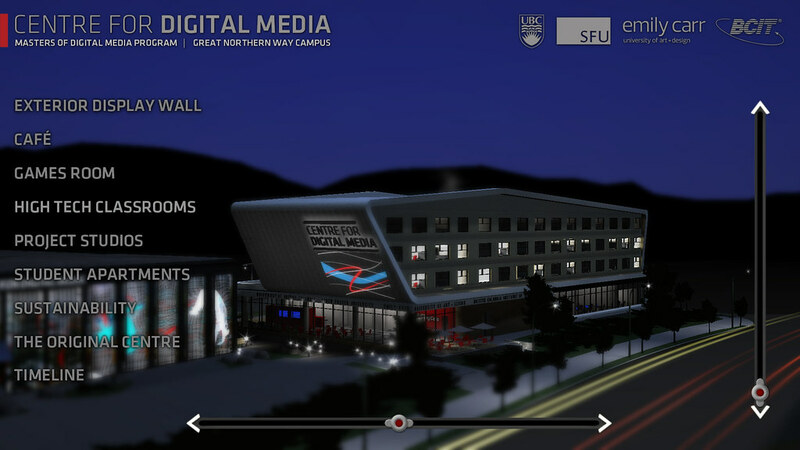 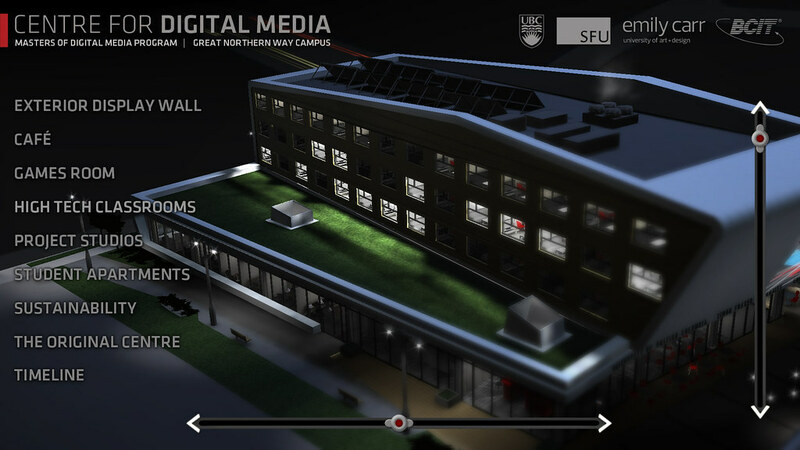 The Centre for Digital Media is home to the Master of Digital Media program – a professional graduate degree conferred by four of Western Canada’s leading academic institutions: The University of British Columbia, Simon Fraser University, Emily Carr University of Art + Design, and the British Columbia Institute of Technology. 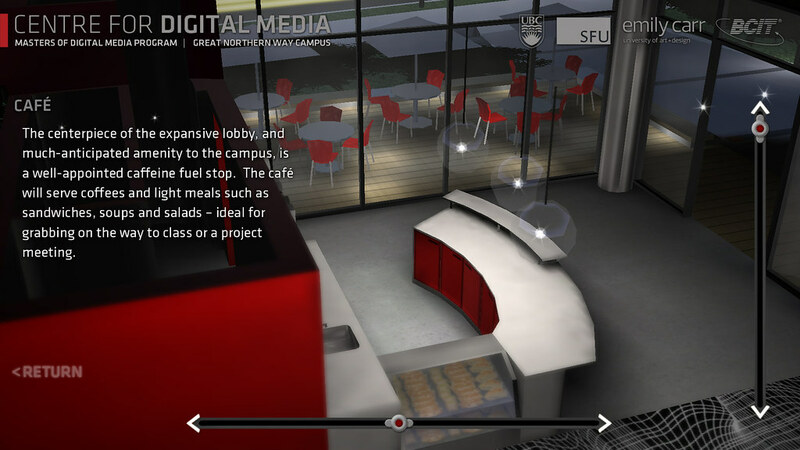 MDM grads are alumni of all four institutions. 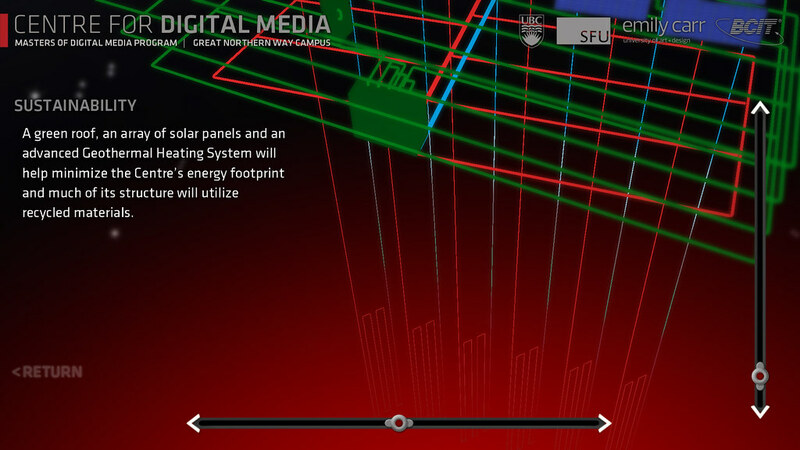 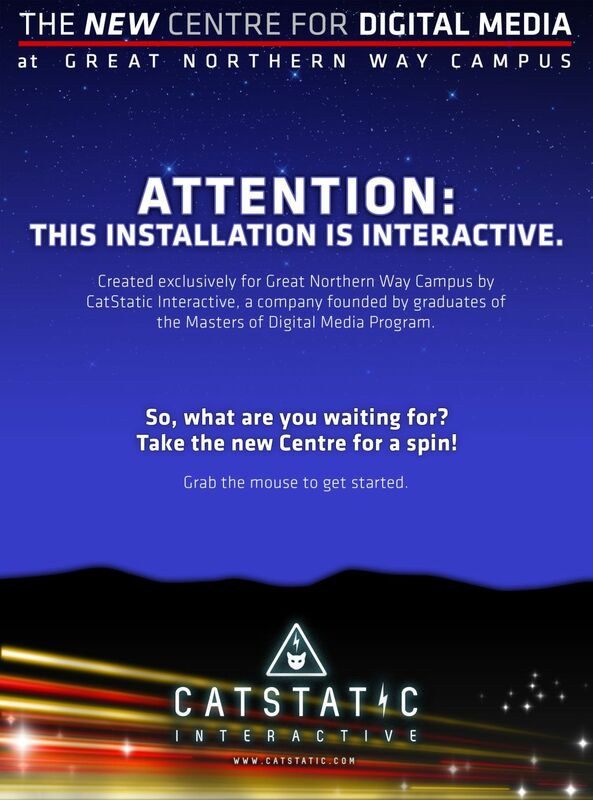 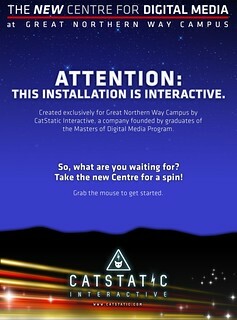 To promote the new Centre for Digital Media building, CatStatic created an interactive kiosk experience which was used to inform and excite the public regarding the new venture. 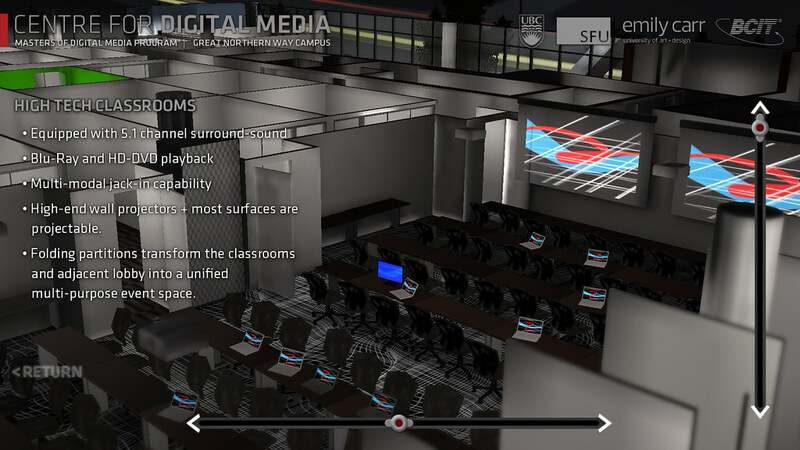 The building was completed in July 2012 and the MDM program officially completed the move to its new digs in September 2012.